HUMAN LIBERTY | Listen Free on Castbox. We are comrades of Human Liberty organization. We are dedicated to Revolution for Communism. Buddhism, Marxism & Ambedkarism is a base of the organization. This podcast is dedicated to help comrades, activists & people to establish communism. 3. To eradicate all type of Human Discrimination. VICTIM OF DALIT ATROCITYVICTIM OF DALIT ATROCITY. A Crime is committed against a Dalit in India every 20 Minutes, according to Crime Clock 2004. Dalits suffer atrocities at the hands of the dominant caste based on the caste system. In spite of the fact that this was outlawed over 60 years ago cast. The number of atrocity cases against dalits is very high. And reflects the fact that religion and tradition continue to control the minds, beliefs and attitudes of people. Society believes that they must serve the dominant community. It is their duty according to Hindu religion and it is a sin if they do not practice it.The people who serve the dominant community in return do not reap benefits from their work. And as a result, the lower caste people are economically, socially and politically very backward. They are also denied education. The dominant people mostly use their political, economical and social power to oppress Dalit people. The lower caste people are denied their Human rights in spite of the fact that the Indian constitution grants equality to all, and in spite of the social development which has taken place in India over the past decade.HUMAN RIGHTSThe Declaration of Human Rights was implemented by the United Nations on 10thDecember 1948. In addition to the rightsthat this grants all citizens of the world. Reformers such as Ambedkar and Phulefought against the caste system and untouchability. When Dr.Babasaheb Ambedkar wrote the Indian constitution. He incorporated provisions upholding rights of depressed communities like the Dalits. The Indian legislature has also passed special laws to extend special protection to the Dalit and Adivasis. Including The Protection of Civil Rights Act. The SC and ST (prevention Atrocities) Act. Minimum wages Act. And Bonded Labour system (abolition) Act. Yet in spite of these legislation’s, Dalit’s still do not see justice. They are VICTIM OF ATROCITYNAVSARJAN TRUSTDuring my visit to Navsarjan Trust. I realized that the Dalit people living in the Gujarat are in a very critical situation. They suffer from continuous atrocities at the hands of the dominant community. Dalit’s are often victims of atrocities, including beatings, sexual abuse (especially minor girl children) and Dalit women are often even murdered. The Atrocity prevention Act is not implemented properly. The police tend to compromise such types of cases because they too work under the pressure of the dominant community. They do not file FIR under the Atrocity prevention act.The Navsarjan Trust in Ahmadabad is one organization that is working for Dalit Rights and for justice of survivors of atrocities. The activists of the organization meet police and demand the proper implementation of the Act. Gujarat is a state where untouchability is still practiced even today – I visited one village where the dalit community is still housed in the outskirts of village. These people are not allowed to attend any social or religious events.VICTIM OF DALIT ATROCITYThe Dalit’s are denied the resource of livelihood in Gujarat. The Dalit children do not get a good education. The people don’t have political influence in local governance. Even today Dalit people cannot demand their Equality before law is mentioned in the constitution, but this is not practiced. The Dalit people face Atrocities every day. Maharashtra as a state is supposed to be “developed”, yet. One can also find atrocities happening there in Khairlanji – the Bhotange family is one example. The Police Administration behave partial role with Dalit people. It is need to proper implementation of Atrocity Act and prevents the Atrocity cases.There is hope for change however. One small group from the Dominant community in Gujarat is advocating for repealing the Atrocity Act. They claim that it is misused by political leader and police machinery for their own interest, yet they are struggling to be listened to. HOW CAN BUDDHA CHANGE INDIAN POLITICS?Buddha is a spiritual personality and not belongs with politics. Although I explained here – How can Buddha change Indian Politics? I think Buddha influencing on Indian politics. 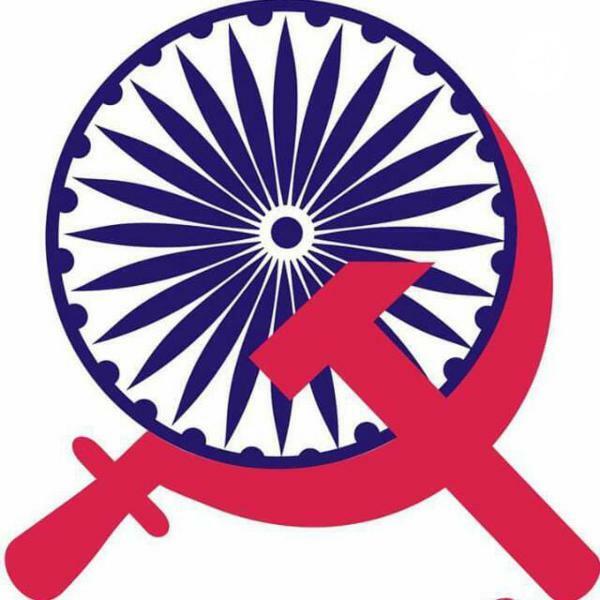 Not towards communalism but towards revolution and communism. How it can be possible? Let me explain.HOW CAN BUDDHA CHANGE INDIAN POLITICS?Now a day’s Majority of Indian population are Hindus. And 15 % of Hindus are upper castes. And in Upper caste you can find Capitalists, Feudalistic and Patriarchal Males are ruling population of the country.Upper caste people are involved in teaching Brahmanism (fascist things) to people since 2000 years. They are using Manusmriti (law of Brahmanism) to implement Brahmanism. That’s why Indians are became mental slaves of Upper caste people.Due to that majority Indians are following lots of superstition, defective ritual, conventions and traditions, casteism, bigotry, predestination etc. You can find here many atrocities, riots, violence, discrimination against Lower castes (like Dalit, Tribes, Nomadic tribes & Shudras), minorities (like Muslims, Christians) and women as well as LGBT people.Although this situation is happened here. If majority people accept Buddhism and reject Brahmanism then situation will change towards political revolution. How? Let me explain – How can Buddha change Indian Politics? Why we started Human Liberty – In this article we are discussing about Human Liberty organization. On 1st January 2006 we started Campaign for Human Liberty. We combine Buddha, Marx and Ambedkar in the organization. Why? Let me explain.STARTING DAYSIn 2004 some Rationalist, Communist, Buddhist, Atheist and Ambedkarite activist came together. That time we were working with other like minded organizations.We were discussed on many issues related with Social and political change. That period we think, discuss and wrote articles on various social issues. And we actual worked on the field about social political things.SITUATION OF INDIAMajority of Indian population are Hindus. And 15 % of Hindus are upper castes. And in Upper caste you can find Capitalists, Feudalistic and Patriarchal Males are ruling population of the country.In India Upper caste people are involved in teaching Brahmanism (fascist things) to people since 2000 years. They are using Manusmriti (law of Brahmanism) to implement Brahmanism. That’s why Indians are became mental slaves of Upper caste people.Due to that majority Indians are following lots of superstition, defective ritual, conventions and traditions, casteism, bigotry, predestination etc. You can find here many atrocities, riots, violence, discrimination against Lower castes (like Dalit, Tribes, Nomadic tribes & Shudras), minorities (like Muslims, Christians) and women as well as LGBT people.RATIONALIST ASSOCIATION OF PEOPLE – 2004Although this situation is happened here. If majority people accept Buddhism and reject Brahmanism then situation will change towards political revolution. How? For more information Click on – How can Buddha change Indian Politics? So we started Rationalist association of People.EXPLOITATION ERADICATION COMMITTEE (SHOSHAN NIRMULAN SAMITI) – 2005After one year in 2005 we came together again. And we discussed about our way of Rationalism. This way is very long and couldn’t complete in our own life. So what if we directly work on system transformation? Once power will come in our hands, we can change people mind set through education department, media and other sources. And we can implement communism easily.So we change our ideology. We left Buddhism and we accepted Marxism. And Started work like communist. We changed the name of the organization. Our organization’s new name was Exploitation Eradication Committee (Shoshan Nirmulan Samiti)CAMPAIGN FOR HUMAN LIBERTY – 2006After one year in December 2005 we came together again. And we thought on 3 issues.If we will take charge of power. But if people are remain Hindu mind set. Then they will destroy the system again and they will make system related with their religion (Brahmanism) again.Due to caste system, workers couldn’t unite. They divided in to many castes. And in casteism you can find hierarchy between them. Due to that people hate each other. If workers do not unite properly how revolution can possible in India?If majority of people are convert in to Buddhism. But if System is remaining in hands of Capitalist, feudalistic or Upper caste males. Then there is no meaning of only Religious conversion.WHY WE STARTED HUMAN LIBERTYWe thought that if we want real revolution or communism. We need Buddhism to eradicate Brahmanism and change people mind set towards communism. We need Ambedkarism to eradicate caste system and other discrimination’s like gender, religion, language, area, race or skin color based. And we need Marxism for system transformation. And if Buddha, Ambedkar and Marx come together. Then real revolution will happen in India as well as in entire world. And communism can establish properly in the world.So We again change name of the organization. And now we started Campaign for Human Liberty on 1st January 2006. For more details click on Why we started Human Liberty ? We are the Comrades for Communism. You can find here details of the organization. We started Human Liberty organization in 2006. And still we are comrades for communism.WELCOME TO HUMAN LIBERTYHuman Liberty is based on Buddhist, Marxist and Ambedkarite thoughts.Buddha + Marx + Ambedkar = Human Liberty.CAMPAIGNWe are trying to run campaign for Human Liberty since 2006. We have well trained activist in Konkan, Western Maharashtra and Khandesh regions in Maharashtra, India. We are working with weaker sections of society.TRAINING CENTERWe are providing training of ideology, Human Right, Self-efforts, Capacity building and Skill Development. Hundreds of youth and Activist are well trained with Human Liberty Training Center.LIBRARY & RESEARCH CENTERWe have more than 1000 books and more than 500 magazines in our library. There is research material in the Library so it is very useful for researchers. Students and Activist are taking benefits of our Library and Research Center. We also have some important heritage things of Tribal and Dalit community in this center.GUIDANCE CENTERWe have Helpline to guide and support to Activist and problem facing people. We guide them through telephone about the solutions, tactics of democratic and legal fight. If they need some help then our experts participate and help them in field too.COUNSELING CENTERWe run a counseling center for them who are facing psychological problems. Such as depression. Due to 1. Break up or divorce in love, relationship or marriage. 2. Failure in business, carrier or education etc.SUCCESS STORIESBEFORE US:​In Khandesh area of Maharashtra we started working with tribal community in 2008. That time Tribal were poor, uneducated and uncivilized. So educated people, upper cast communities and government officers were cheating and exploit them easily. Tribal community were always had fear about exploitation from civilized society in Jalgaon, Nandurbar and Dhule districts.AFTER US:Now school dropout tribal youth are well trained from Human Liberty Training’s. Now they know how to fight with cheaters and exploiters with legal and democratic way for change in situation.Now people started to participate in Gram Sabha. They achieve many government documents. And they get benefits of various Government schemes. Now tribal are fearless and feel real liberty.